Saronic gem: My previous post, Saronic island sojourn, contained a collection of photos that we shot during a very enjoyable week-long stay on Poros in the spring of 2018. If you haven’t been to Poros before, I hope the photos may have stirred you to consider visiting the lovely Saronic Gulf island on one of your future trips to Greece. But if you weren’t completely convinced that Poros might be a good place for you to spend some of your holiday time, perhaps you’ll feel more inspired by the three videos I have included in this post. If you wish to take things a step further and start researching accommodations, attractions, activities and transportation options, bookmark the Poros.com tourism guide as well as the Poros Portal site. Both contain extensive information about the island, along with lots of photos and travel planning links. Also worth a peek is the Visit Poros Island Greece page on Facebook. Finally going: Kefalonia has been on our bucket list for quite some time, but we have never been able to fit a trip there into any of our past island-hopping holidays — largely since we were usually travelling in the Aegean or Dodecanese regions of Greece, too far away to conveniently slot any of the Ionian islands into our vacation schedule. We kept expecting that we would devote one entire holiday just to see Kefalonia and some of its island neighbours, but it never happened. Notions of visiting Kefalonia were rekindled this past January when I discovered the Explore Kefalonia — Winter video (posted above) while working on my blog articles about snowfalls and severe weather conditions in Greece. I was captivated by the video scenes of beautiful coasts and landscapes, and that led me to start watching more Kefalonia videos, almost all of which were filmed during the summer tourist period, rather than during the off-season winter months. Those videos, in turn, made me conclude that we had to bump Kefalonia higher up our “must see” list of places to visit sometime in the next five years. I never thought for a moment that we might get to Kefalonia as early as this year, but when friends invited us to join them on a road trip in the western Peloponnese this spring, and asked if we would like to go to Kefalonia from there, we couldn’t pass up the golden opportunity. We will be on the island later this month for almost a full week — clearly not long enough to see all the fascinating places and attractions that have intrigued me so much in the videos. But if we do wind up loving it Kefalonia as much as we have enjoyed so many other islands, we’ll return another time to get to know it better. Now it’s just a matter of contending with the steadily growing anticipation of finally getting there. With the countdown to our flight to Greece in its final days, we won’t have to wait much longer. Below are three of the videos I enjoyed watching during the winter, never realizing that a trip to Kefalonia would be in the cards for us so soon. Video vacation: I feel like I have just taken an extensive and exhausting (but in a good way) sightseeing trip to Corfu — even though I haven’t been there yet. And courtesy of several online videos I’ve been watching the past couple of days, it’s entirely possible that I may have just seen more of the island from here at home than I might have been able to see had I actually been on Corfu for the same period of time. The film features soaring views of Corfu’s lush landscapes, its picturesque coastlines and beaches, the island’s beautiful capital (also called Corfu), and cruise ships calling at its port. Corfu is, of course, one of the top Greek island destinations for cruise ships, so a video by its port authority just wouldn’t seem complete without at least a few passenger liners appearing in the picture. As tends to happen whenever I find something interesting on social media, one thing led to another — and before long I had compiled a playlist of several more Corfu videos to view. But except for Garden of the Gods, and another 3-minute clip, the other films weren’t as short and sweet — with run times ranging from 10 and 24 minutes to nearly two hours, they were the equivalent of watching a few evenings of TV programs. But I considered it “time well wasted,” as the saying goes. It’s time some of you might wish to spend, too, should you be considering Corfu for an upcoming or future vacation — or should you simply want to see what the island is all about. To that end, I have posted some of the videos below. Four of the six films (including the one above) were published just within the last several weeks, while two were released last year. What I appreciated most about the videos is that they either show or tell you the names of places you’re looking at — something all too many travel videos fail to do. If you manage to make it through all the clips, you’ll probably feel like you’ve just gone to the island, too — or attended a Corfu film festival! My Corfu in 3 minutes is a quick-view highlight version of the considerably longer My Corfu, which is posted directly below. Produced by Petros Kapsokavadis and the Oasis Hotel in Perama, it’s intended for viewers who don’t have enough time to watch the full-length clip. This is the full 24-minute My Corfu video by Petros Kapsokavadis and the Oasis hotel. Most of the clip is aerial videography of places all around the island, but there is a segment showing part of the Corfu Mountain Trail footpath from Perama to Gastouri. Corfu — the island of eternal returns is a 10-minute film released just this month by the Mouzenidis Group of companies. A guide takes viewers on a tour of many of Corfu’s marvellous attractions, sights and scenery while describing highlights of the island’s history. Corfu Coast Line is an aerial tour around the Corfu coast. The 48-minute film is a project of Corfu Benitses, the Association for Culture and Redevelopment of Benitses, a fishing village 12 km from Corfu city. 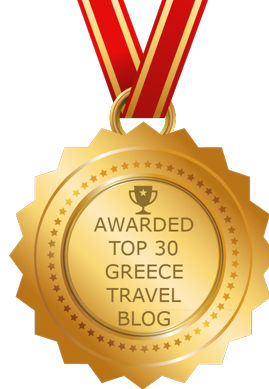 The Corfu Vacation Travel Video Guide title says it all! Nearly 58 minutes long, the informative narrated film is a production of Exposa Travel. My Movie Corfu Trail clocks in at 1 hour and 50 minutes but it is, after all, a video diary of a 10-day, 150-mile trek around the island that Tim Beal and a friend took last September. “It is a fantastic walk and should be a tonic for all who like fine views, fine food and great people. Take two weeks out and walk Corfu… you will love it!” Tim says. If you don’t have the energy to attempt the walk yourself, simply sit back and watch Tim and his friend do it instead!